From e-books to 3-D printing, TR spotlights the technologies that are destroying markets and creating new ones. Killer read: The slow death of the printed book is claiming more and more victims. First, big chain stores like Barnes & Noble and Borders wiped out the independent corner bookshop. Now the megastores face their own adapt-or-die agenda with the arrival of e-books. Initially rejected as an inferior way to read, consumer e-books are suddenly soaring in sales, which are expected to hit $2 billion next year. 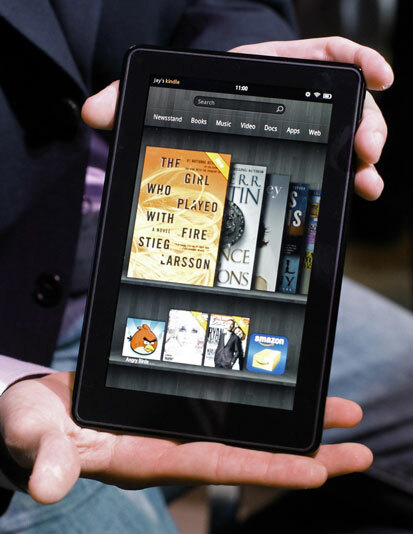 Booksellers including Amazon have launched e-readers like the Kindle Fire shown above, but the damage isn’t over. Borders recently declared bankruptcy, and Barnes & Noble, despite winning 26 percent of the e-book market with its Nook e-reader, is losing money too. The message is clear—tablet readers are the future of books. And the upheaval doesn’t stop at bookstores. With unknown authors selling millions of e-books by word of mouth, the trend spells disruption for the publishers, literary agents, and book lists that once acted as the gatekeepers of what we read. Locally made: Technological change has a way of sneaking up on you. That’s the case with 3-D printing. The techniques for shaping complex objects by building up plastic or other materials layer by layer found their initial applications in novelty markets. But increasingly, 3-D printing is finding new uses in mainstream manufacturing. 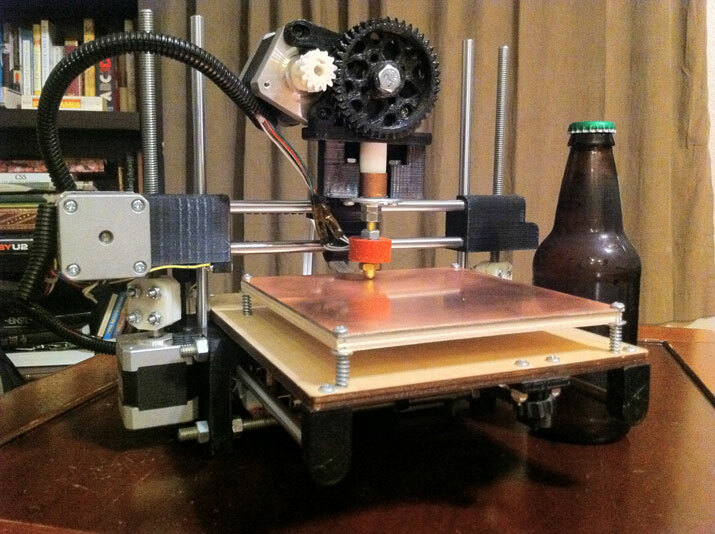 Pictured is the Printrbot, developed by inventor Brook Drumm. It’s a 3-D printer, designed for home use, that could be priced under $300. What industries will cease to exist when anyone can print from a device next to the coffee maker at home, and when the formulas for common designs are available online? Among those affected could be toy companies, makers of costly replacement parts, and even the shipping companies that currently transport manufactured goods. Watch out: For analog technologies, digital means disruption. Just consider what happened to Switzerland’s watch movement industry with the arrival of cheap digital clocks. Or what electronic calculators did to the companies that made mechanical adding machines. Now it’s the turn for closed-circuit television (CCTV). Used for surveillance in malls, hotels, casinos, and elsewhere, the systems still rely heavily on cameras that transmit analog signals to monitoring rooms where they are recorded on tape. Fully digital systems, which send images over the Internet to be viewed anywhere, were once considered inferior, but sales of this technology have exploded. About 30 percent of the $9 billion CCTV market has shifted to digital, according to IMS, with more to come. Technology disruptions often leave market-leading companies flat-footed. That is the case in CCTV, says Christian Sandström, a researcher at Stockholm’s Ratio Institute. 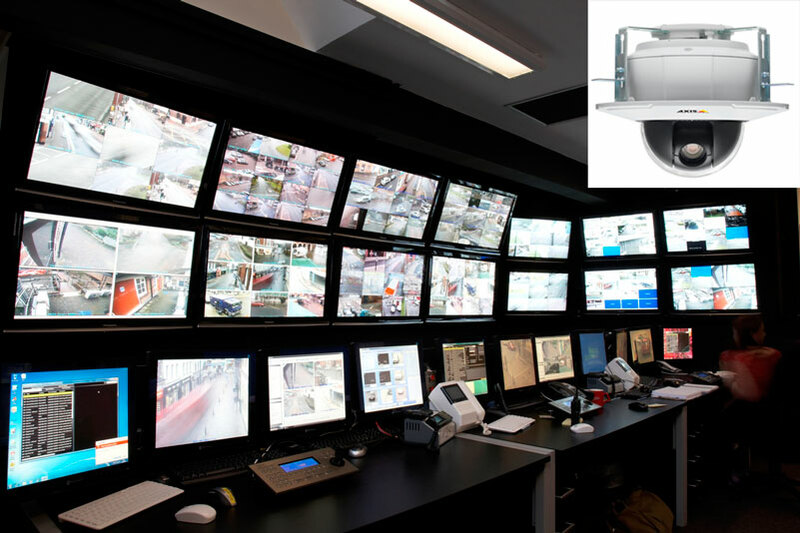 The leading seller of digital network surveillance video, he notes, is Axis Communications, a company with no previous background in the security industry. Meanwhile, established firms like Pelco and Bosch are losing market share. Genetic switch: We’ve heard a lot about the plummeting cost of decoding DNA. Unraveling the first human genome in 2001 cost more than $3 billion; today the price would be closer to $10,000. This year, a Pulitzer Prize was awarded for stories that documented how one family, baffled by their son’s mysterious illness, simply had his entire genome analyzed to determine the cause. The profound medical impacts are accompanied by disruptions in the $1.5 billion market for DNA sequencing. The newcomers are companies such as Ion Torrent, whose “Personal Genome Machine” is pictured. 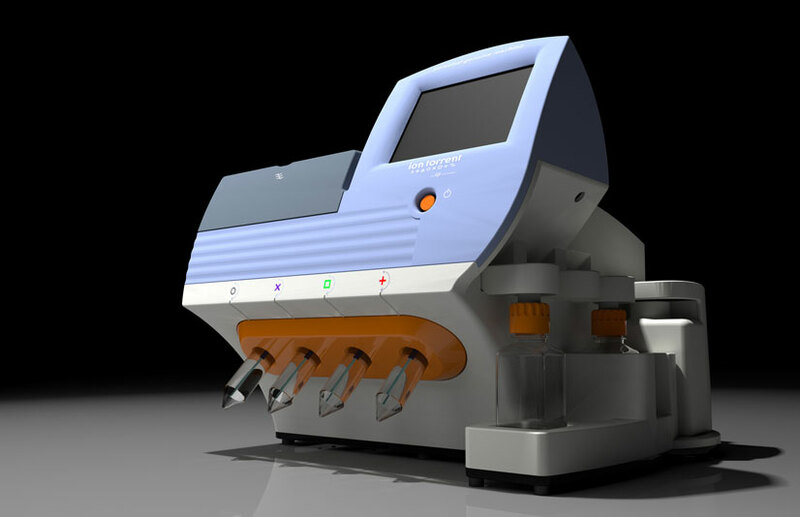 The $50,000 sequencer is among a breed of fast, cheap DNA decoders that are replacing more costly machines that use the gold-standard technology called capillary-gel electrophoresis. The new machines use different chemistry, and come with trade-offs: they are less accurate and read out DNA in shorter bits (a problem if you are trying to puzzle together a human genome with three billion DNA letters). Yet as fast-and-dirty DNA reading has improved, the industry is being swept by changes. One of the most remarkable: many researchers don’t even buy sequencing machines any longer. Instead, when they need DNA decoded, they ship it out to mail-order laboratories that return results in a few days. Disruptive intelligence: Computers aren’t as smart as people. But for many niche applications, they already do a better job. The big question is what would happen if computers became as good as people for ordinary jobs, such as diagnosing an illness (or writing a Web story on a deadline). 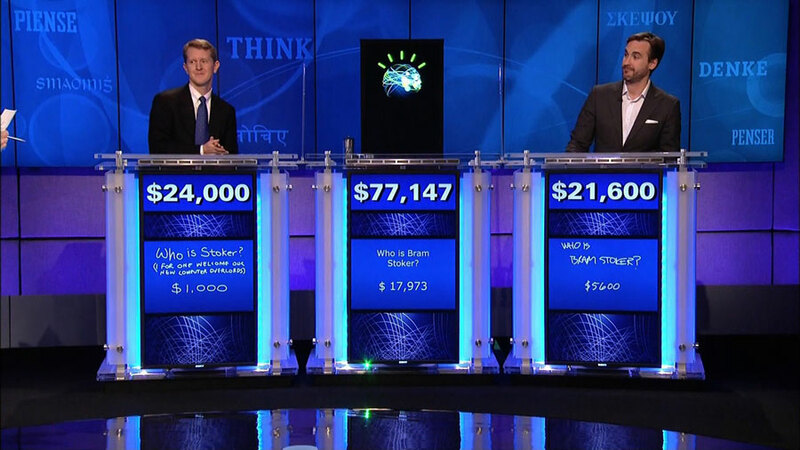 Shown above is IBM’s Watson computer beating human contestants on the game show Jeopardy! In 1950, Alan Turing suggested that a machine could be judged “intelligent” if its answers to questions could fool you into thinking it was human. Watson edges computers closer to passing that test. Already, we interact with automated telephone assistants that recognize our voice commands, and software such as Apple’s Siri—the voice-controlled iPhone assistant—begin to take such interactions to a new level. Whether computers get better or we lower our standards for what is considered human, the arrival of machine intelligence that rivals the human mind may be the greatest disruption of all.